I'm active in a handful of groups for music producers, and I often try to offer advice on subjects I'm confident about. Folks notice that I say good things about ill.Gates, Producer Dojo, and Class of 808, so every month I get a fair number of direct messages asking "Why is Class of 808 worth the effort? What's so good about it?" So to start with, this entire Producer Dojo concept is a novel experiment in the music industry. It was the brainchild of ill.Gates and some of his early students. There's nothing else like it except for "Gravitas Create", which essentially copied part of the idea behind Producer Dojo. Both are what you'd call a collective of artists. As a collective, they riff on the general idea of the earlier Team Supreme from Los Angeles, which is that a bunch of artists working together to bootstrap each other is better than trying to go it alone. Individual artists might come and go from the collective, but the collective itself builds a name and a reputation for quality and innovative music, and so by association with the collective, any one artist also expands their reach and visibility. This is different from being an artist signed to a label. There, you are simply part of the label's product line, and unless you are a huge name in your own right, the label dictates nearly everything you do. Throughout most of the history of the music industry, a band or artist signed to a label could expect to be told who their producer would be for any given album, and the producer would decide nearly everything down to minute details. A band who worked hard to become visible enough to attract a label deal were effectively transformed into mere workers who helped with the label producer's vision for your "brand". Only the biggest artists could eventually wrest some creative control back from the label and have more say in the decision-making. In a collective, there might still be some people who function as mentors and teachers, and who make decisions about which songs are the best fit for showing off the collective's "brand" in published releases on the collective label. But most of these people come from the ranks of the collective itself. All in all, the collective is essentially an anarcho-syndicalist business. Constantly bringing in new members, and constantly evolving, with many of the members contributing effort to the business of running the collective. Where Producer Dojo differentiates itself from Gravitas Create has largely to do with the Dojo's huge emphasis on mentoring, teaching, and tailored feedback for each artist in the collective. Gravitas is kinda sorta more like a traditional label but with a collectivist twist. Artists will submit work for various challenges, the best will be chosen for periodic "challenge" or "compilation" releases, and the best of the best will become name artists for the Gravitas label. The Dojo has similar "challenge" and "compilation" and "artist" releases, but the difference is the emphasis on internal teaching and mentoring. ill.Gates has a long track record of being an educator for EDM producers. Not just YouTube tutorials, but large workshops and multi-day "hands on" classes at various large festivals and industry events. And the "Class of 808" concept within Producer Dojo is a very serious program for mentoring and shaping new and intermediate producers to be able to deliver pro quality work. With ill.Gates at the helm and his concepts and techniques being taught by an ever-growing core of "graduates" who become mentors to the other Class of 808 members. There are really two different tiers of instruction and mentoring in the Dojo. Unfortunately, (and the reason I get asked for details about the Class of 808 all the time), this isn't really clear from the *outside* when you're investigating the Producer Dojo site. There are a lot of materials and products for sale on the Producer Dojo site, and these two specific tiers get a little lost in the noise. The first tier is called The Weekly Download. This tier is a one-way brain dump from ill.Gates to you. There were 74 episodes at the time I wrote this, and ill.Gates adds a new one every week. (Sometimes there are short gaps because he's on the road doing shows, so he will put out two or three in a row to fill the gap.) These quite often contain fairly long, detailed tutorial videos and zipped Ableton Live projects containing the things he demonstrates in the video. These videos are a goldmine of really detailed, practical concepts and advice specifically about EDM production. Which is precious, because so many YouTube videos try to be generic about all genres of music, or worse, are full of advice about a genre other than EDM which turns out to be terrible advice for an EDM producer! Even better, these weekly downloads aren't always about technical stuff like mixing, mastering, and how to do specific production techniques, but instead sometimes cover higher-level concepts and approaches to composing music for the EDM genres. Or higher level concepts about efficient production workflow. At a cost of only $20 per month, The Weekly Download is a very strong value, because it's like ill.Gates giving you a private and detailed lesson about the things he sees all the various Class of 808 artists struggling with at any given point. He covers really useful subjects I've never seen anyone else try to cover on YouTube or Academy.FM or Point Blank or Warp Academy or etc. etc. Joining The Weekly Download tier is a great way to get a feel for ill.Gates' style and ideas, and to get a feel for whether the Class of 808 might be a good fit for your needs and current level of development as an EDM producer. The second tier is called Class of 808, and this essentially turns the one-way loop of The Weekly Download into a two-way feedback loop where ill.Gates and all the mentors get to know YOU, your goals, your strengths and weaknesses, and are therefore able to provide you with specifically tailored instruction and feedback on your work, to help you improve rapidly. Yes, you get one video lesson with the mentor of your choice each month. These are really high-quality using Zoom webconferencing software. The instructor has a webcam (and you should too), and BOTH of you can share your desktop and play back your DAW and the other person can see/hear things in high quality. The instructor also makes a high-quality recording of the training session that you (and other 808 students) can watch later for reference. So you benefit not only from one-one-one lessons about your work and your projects in real time, talking face-to-face, but you can also benefit from the lessons of other students! It's worth noting that these lessons are not will ill.Gates, but instead with his advanced "graduate" students whom ill.Gates is confident understand his techniques and concepts and are capable teachers. You also have full access to all The Weekly Download content as part of your 808 membership. And there are a lot of other resources, templates, production recipes, etc. etc. that you have full access to as part of your 808 membership. Pretty much everything ill.Gates has ever created is there for you to raid freely. There are special "Label Releases" threads, where all the artists/students can submit their best efforts for an ongoing set of monthly production challenges that we call "Cypher Mixtapes". Not to downplay Gravitas Create, but they will throw out a monthly release too, only it's just a long 4-hour playlist of pretty much anything and everything that people in the Gravitas community submit. By contrast, the Cypher challenges are tough and challenging, with specific rules for each challenge and a very high quality bar to make the cut for that month's Cypher release. Each Cypher Mix is literally an end-to-end custom DJ set that flow from one (roughly) 2-minute song to the next. (If you're not familiar with DJing, two minutes is about as long as you can keep the crowd engaged on any one song before you need to transition to the next one.) The "curator" of that month's Cypher challenge (along with ill.Gates too) decides on which submissions are strong enough to make the cut. Not everyone makes the cut; the quality bar is pretty high. But it isn't just a matter of "everyone submits and the curator and ill.Gates decides who makes it onto that release". Instead, the curator and ill.Gates both give you feedback on your submissions and try to give you the advice you need to improve and iterate on your submission so that it can make the cut! Most submissions, even from the experienced and really strong producers in Class of 808, typically go through two or three or more rounds of feedback and iteration before they make the cut. And even if you don't make the cut, the process of rapid producing, and then trying to rapidly incorporate feedback to try and make the cut, is a HUGE learning experience. I kid you not; trying your best to make the cut for every single Cypher Mix will help you grow your skill incredibly fast. There are also some other types of challenges among the "Label Releases" threads. Namely, a rare but periodic "Class of 808 Compilation #n" release, which is a full-length album featuring the best of the best among the 808 artists. (Look for the first such "Class of 808" album out on Spotify, Beatport, etc. to get a feel for the content and quality level.) This challenge has an incredibly high quality bar, and has serious artistic, marketing, and mastering resources thrown at it. It's the showcase for the Producer Dojo collective, and it directly reflects on the ill.Gates brand. All the feedback here is from ill.Gates himself, and it's intensive. Just as with the Cypher challenges each month, trying out for this release is a huge learning experience even if you don't make the cut. There's one other type of "Label Releases" thread too. Artist-specific EPs released on the Producer Dojo label. Again, these have serious artistic, marketing, and mastering resources arranged for them by the collective. These are big "launch" pushes for the most advanced 808 artists that are performing at a pro level. ill.Gates' sincere goal is to get every single 808 member to this point of "graduation" and skill in both composition and mixing. 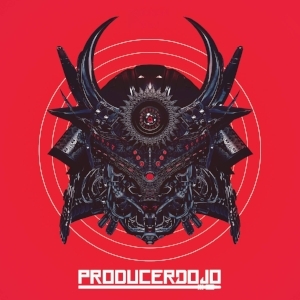 Many of the artists who have released an EP on the Producer Dojo label then become official mentors for the collective and offer one-on-one video lessons. One other useful thing to point out, which isn't very clear from the "outside", is that you don't directly interface with ill.Gates himself at first in Class of 808. He has his own professional career and plays out at tons of shows. Regardless, his influence and guidance permeates the Class of 808, and he does actively interface with many 808 members on a variety of levels. At first, though, most of your interaction is through the various mentors. If you come in at an intermediate level and feel confident, you can jump right into submitting work on the various "Label Releases" threads, and this is where ill.Gates starts becoming aware of you and interfacing with you through feedback on your submissions. Then, as you demonstrate that you're able to regularly make the cut for various label releases and your that skill level is high, ill.Gates will reach out directly and invite you to start working on an EP release for the Dojo label. This is the point where you'll be receiving very tailored attention and guidance from ill.Gates in several forms, not just in written feedback about your submissions for the various "Label Releases". Okay, I lied. Here's one more useful tidbit. There's a large Facebook group for Producer Dojo, which is a great and supportive community. But we also have a private Discord server just for the Class of 808 artists. It's a pretty thriving place for us to socialize and support each other, and to discuss stuff that wouldn't be of interest to the larger Facebook group. Okay, that's my brain dump on Producer Dojo and Class of 808. I hope you've found this helpful! My parting thought is simply that the opportunity to learn and grow in Class of 808 is truly, absolutely unique across the entire music industry, and especially within the EDM part of the industry. ill.Gates is a tireless innovator who thinks outside the box. And he attracts other people who have the same enthusiasm about sharing and mentoring and bootstrapping music producers. Producer Dojo and Class of 808 is a shining example that you can be both competitive AND cooperative and supportive in the music industry. The nature of the music business has changed dramatically within the past 10 years, and IMO ill.Gates is leading the way for "how to get things done" in this rapidly-changing landscape.